In the United States, Nubian and Alpine goats are two major dairy breeds and most dairy goat herds are in seasonal lactation. 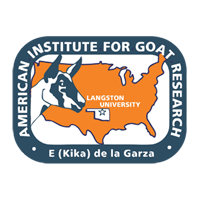 In this study, the effects of goat milk obtained from two dairy farms with either Alpine or Nubian breed of goats at various stages of lactation on yield, composition, sensory scores and fatty acids of soft cheese (Chevré) were evaluated. Results obtained from this study indicated that dairy goat breed did not affect cheese composition, sensory scores, and fatty acid concentrations (P > 0.05) except oleic acid. However, milk from Nubian goats resulted in a much higher cheese yield, a lower oleic acid concentration and a lower unsaturated fatty acid concentration than that from Alpine goats (P < 0.05). Soft cheese made from late lactation milk had higher fat, protein, total solids and yield than mid lactation milk (P < 0.05). While the sensory scores of cheese from Alpine milk varied throughout lactation, those of cheese from Nubian milk were virtually same regardless of the stage of lactation. If a dairy goat herd is raised to supply milk for cheesemaking, Nubian goats or a mixed herd with at least some Nubian goats will be of great interest to the cheese makers and in return the milk producers should get a higher premium for their higher cheese-yield milk. In addition, a year-round breeding program could help minimize variations in cheese composition, yield and fatty acid concentration, resulting in a more consistent quality of cheese throughout lactation.